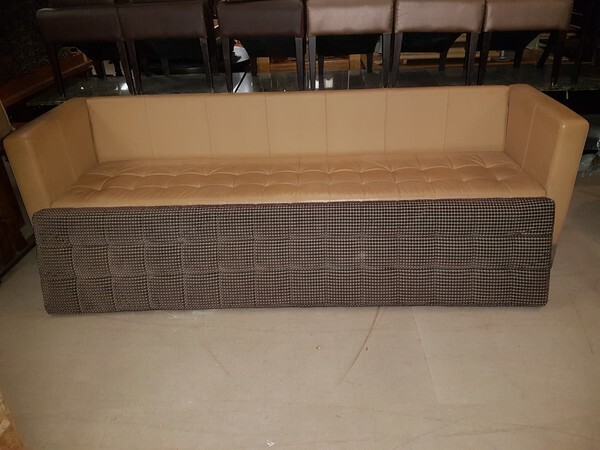 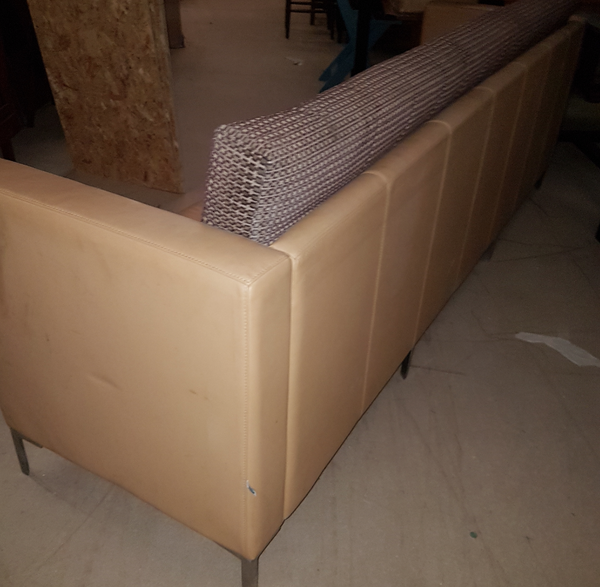 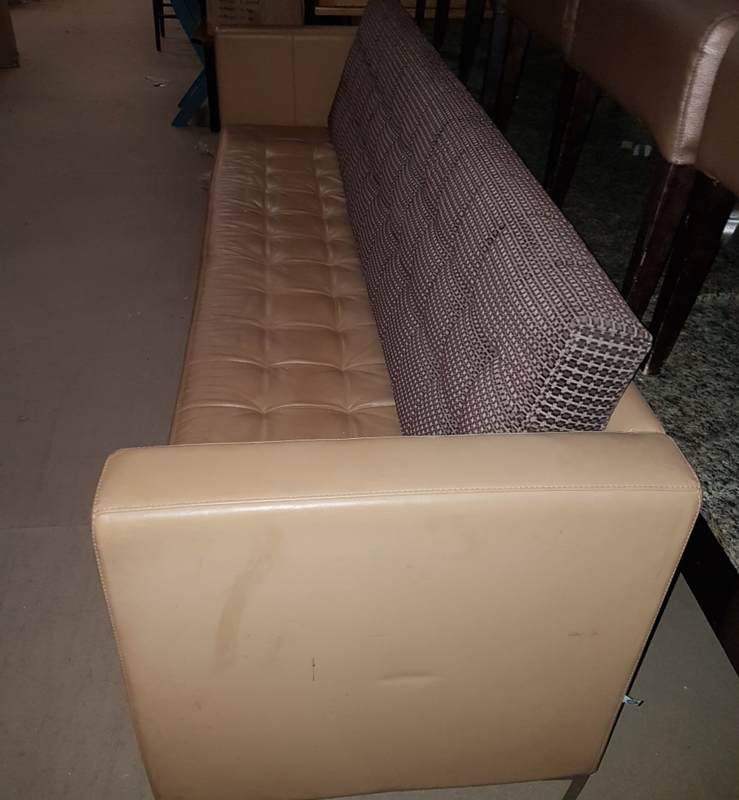 2x Tan Real leather couches supplied structurally sound with no rips or tears. Each has a removable Brown Dralon fabric back rest. 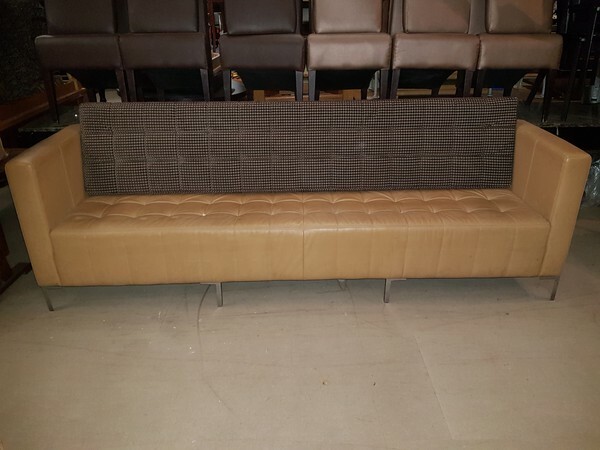 Viewing available by appointment at our Derby warehouse.